Hygienic. Appealing. Functional – These are 3 characteristics every great kitchen must have. Your choice of countertop material will determine if you can bring these 3 important characteristics into your current kitchen design. Fortunately, with Cambria quartz countertops in Atlanta, you can make your kitchen eye-catching, functional, and hygienic all at the same time without ever adding another thing! Cambria quartz countertops are designed to transform an average-looking kitchen into a more modern and sophisticated kitchen. The uncompromising quality and unbeatable performance of Cambria made it every modern homeowner’s choice for a kitchen countertop. If you are looking forward to installing new countertop or want to change your current countertop to something better but still undecided, this article will show you the reasons why almost every new homeowner in the United States wants to have this quartz countertop by Cambria in their kitchen. Keep on reading to find out more. What is Cambria Quartz Countertops? Cambria Quartz Countertops are a nonporous and nonabsorbent engineered stone that is much stronger and less porous than marble and granite. It is made from one of the hardest minerals on earth – quartz. 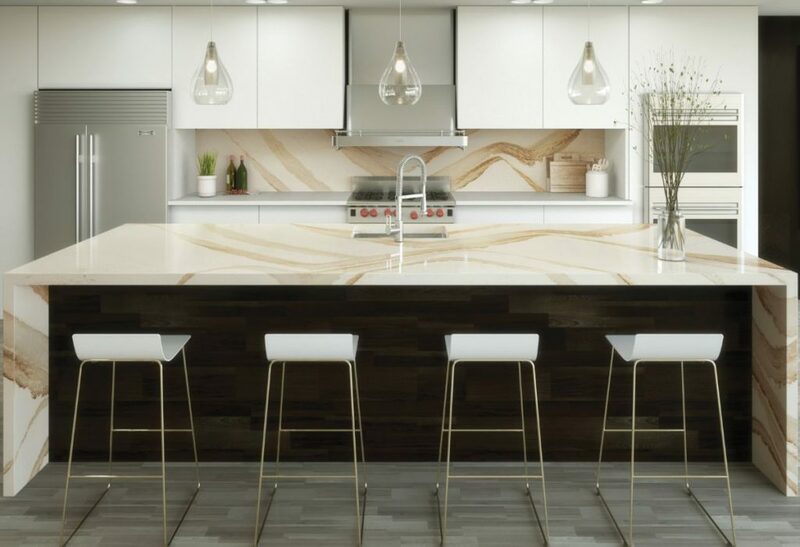 Cambria comes with an expansive design palette which makes it more appealing and eye-catching than any other natural stones you might have seen before. It is also the only quartz countertop material made entirely in the United States. Most homeowners love Cambria not just because of its delightful colors but because it makes it easy to add substantial value to the kitchen. Cambria is composed of 92% quartz and other binding materials which makes it naturally strong, hygienic, durable, easy to maintain, and beautiful. Apart from the kitchens, homeowners can also use Cambria for their vanities, floors, and backsplashes. Still undecided on your choice of a countertop? Here are why Cambria Countertops makes perfect sense. Cambria is composed mainly of quartz combined with resins and pigments which makes it stronger and more durable than granite or marble. When installed and maintained properly, Cambria will give your kitchen more than 15 – 30 years of unmatched beauty and sophistication. The strength and durability of this countertop material make it less likely to chip, scratch, or stain. It is perfect for a family with young children. With Cambria, you don’t have to worry about changing your kitchen countertop anytime soon! Currently, no other countertop can be compared to Cambria quartz countertop when it comes to beauty. Cambria guarantees of design that reflect stunning features that you won’t see anywhere else. The eye-catching surface is sure to be noticed by any visitors who enter your kitchen. Besides, they come in a wide variety of colors such as blacks, earthy browns, apple green, fire-engine red, and creams. You can easily choose the color that matches the decor of your home and improve your kitchen instantly. Cambria makes your kitchen sparkle and sophisticated! Finally, a countertop that cannot stain for years! Cambria countertop does not require regular and inconvenient sealing and polishing like granite and marble. It comes with a protected surface which makes it easy to wipe out any spill or dirt with water and towel without leaving a stain. The stain-resistant finish makes Cambria a great choice for busy kitchens as well as for families with young kids (that tend to spill a lot of drinks on countertop’s surface). Cambria promotes a healthy kitchen. Unlike other natural stones, Cambria comes with a nonporous and nonabsorbent surface. This simply means your countertop won’t draw in moisture from leftover foods and therefore cannot harbor harmful bacteria. Besides, it is environmentally friendly. When you make use of Cambria, you will help the world save an estimated 1.6 billion gallons of water per year. Cambria is a true American symbol. It is the only brand that is made entirely in the United States. The uncompromising quality is the testament that Cambria prioritizes customer satisfaction. To prove this, you will get a full lifetime warranty for your peace of mind when you choose Cambria for your next kitchen countertop. Perhaps, one of the strongest reasons to choose this countertop which has been described as the world’s most beautiful and innovative natural stone surface is because other smart and modern homeowners are doing so. Moreover, the use of quartz in modern kitchens has increased by over 112% since 2012. 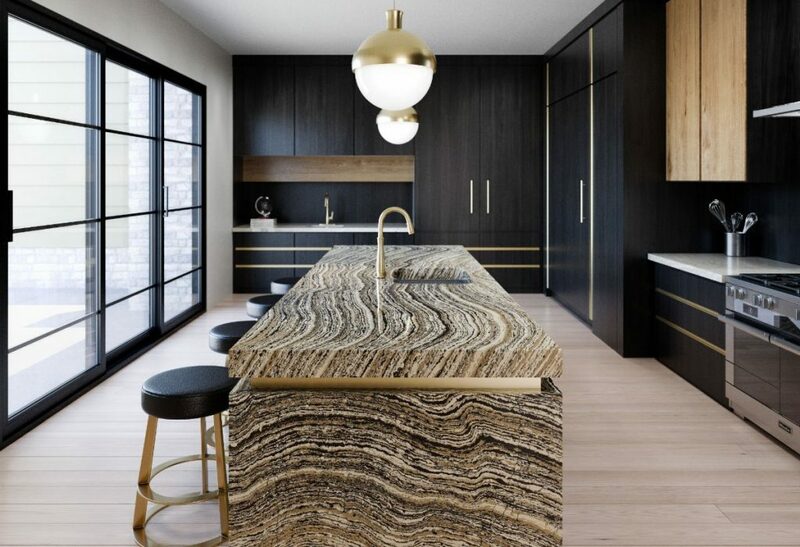 Naturally, other homeowners would expect to see Cambria quartz in any modern or contemporary kitchen. The design and sophistication of this stone make it easy to transform your kitchen with little effort. Cambria quartz countertops makes your kitchen a healthy kitchen, an eye-catching kitchen, and a functional kitchen. It is strong, durable, and resistant to scratch and stains which make it a great choice for busy kitchens. Besides, Cambria’s wide variety of color options make it easy to be tailored to suit individual tastes. When you invest in Cambria Quartz Countertops, you will get a full lifetime warranty and unlimited world-class support. If you’re looking for countertops in Atlanta, then Art Stone Granite & Marble is a Factory Direct Countertop Company. We offer more than just natural stone, like granite and marble, we also are rated at one of the best for quartz countertops in Atlanta as well. We even install more Cambria Quartz Countertops in Atlanta than any other company! Check out the recent article Cambria has us featured in on their website. If you would like to get a free estimate for countertops in Cambria, give us a call or request a quote from our website here.